Geraldine Brodie (University College London) lectures, researches and writes about theatre translation practices in contemporary London. 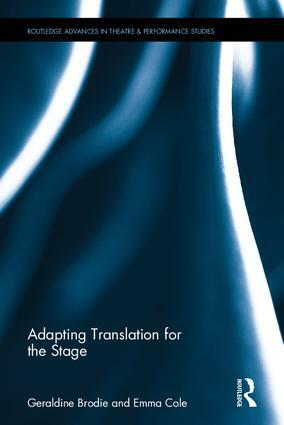 Recent publications include a special issue of the Journal of Adaptation in Film & Performance on Martin Crimp (2016) and her forthcoming book The Translator on Stage. Emma Cole (Bristol University) lectures, researches, and writes about the reception of Greek and Roman literature in contemporary theatre. She has published on classical performance reception and the work of Katie Mitchell (2015) and Martin Crimp (2016), and has a forthcoming monograph titled Postdramatic Tragedies.